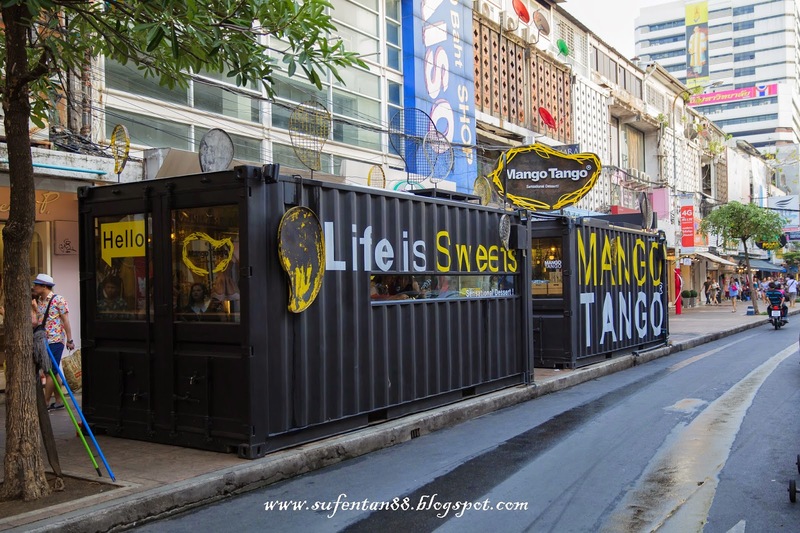 Mango Tango is one of the must try dessert outlet when you are in Bangkok. They claimed that they serve the best mango in Thailand. 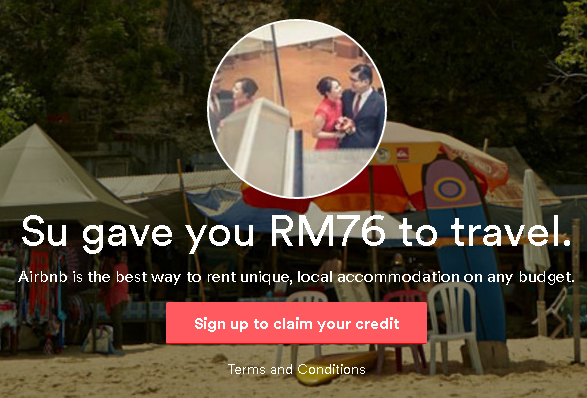 They have two outlets in Bangkok and one outlet in Chiangmai. 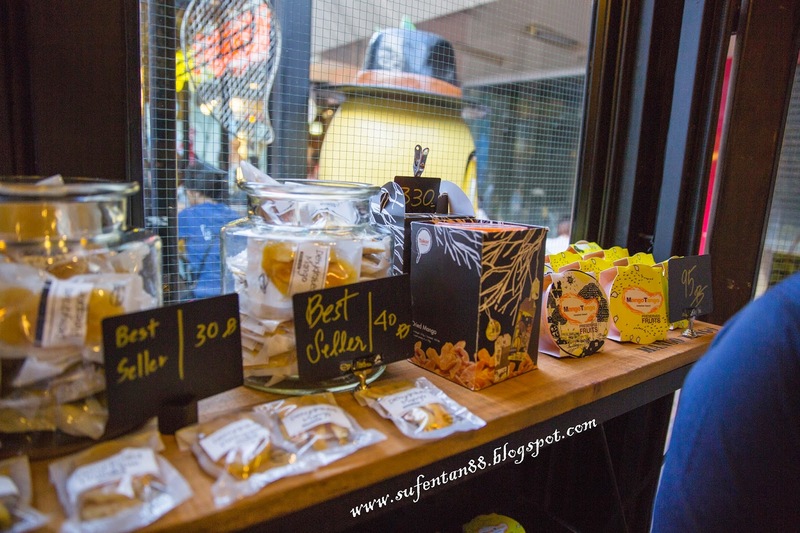 I visited one of their outlet in Siam Square Soi 3 on my latest trip to Bangkok. 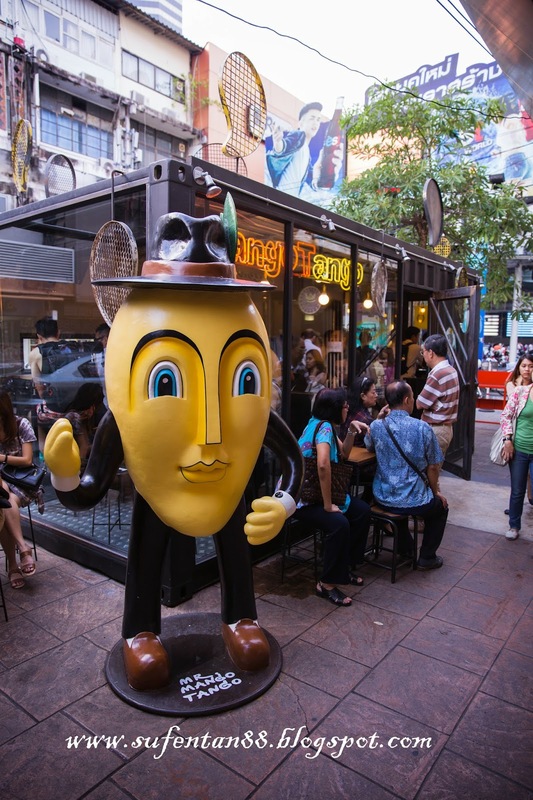 It is located at the road side of soi 3. The shop presented in a very unique way by using two containers as their shop. First container is where the kitchen is, cashier and others merchandise arranged in there. Order must be place at first container and pay at the cashier, the waiter/waitress will then bring you to your seat if you are dining in, at the second container. They actually managed it very well with the big crowd coming in every minutes, dessert served very fast and no mistake on orders as well. They also sell dried mango in the shop. It taste quite nice but the price is a bit on the high side. This is served with a Mango Pudding, Mango and Mango ice-cream. 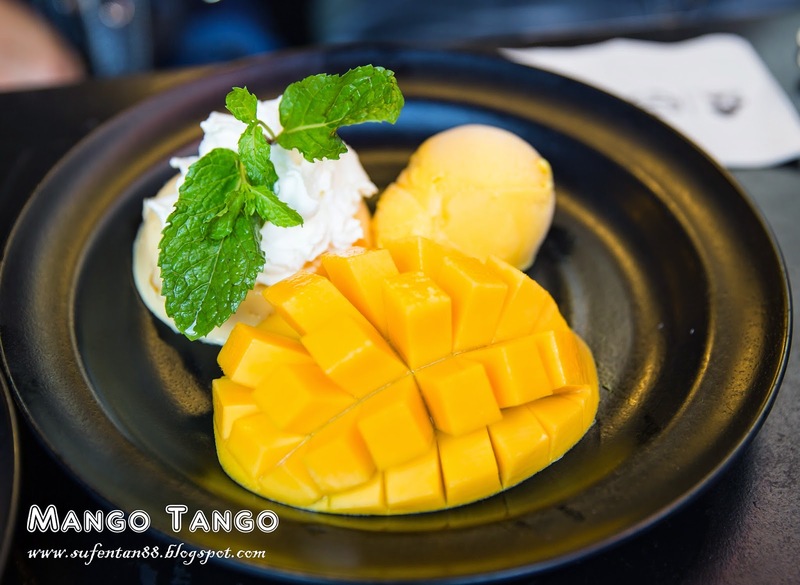 If you are a Mango lover, you just can't miss this, nothing is without mango in Mango Tango. The ice cream is actually mango sorbet where you actually feel more refreshing after eating it. The mango is really sweet and nice, just as what they claimed as they have. However, I found the potion is a bit small, it can easily finish in a few bites. This is the same as Mango Tango except it included the sticky rice. If you like thai sticky rice, you should actually try this. Their sticky rice is soft and creamy, smell very good too. I love this sticky rice but the potion is super small, just a small scoop was served. 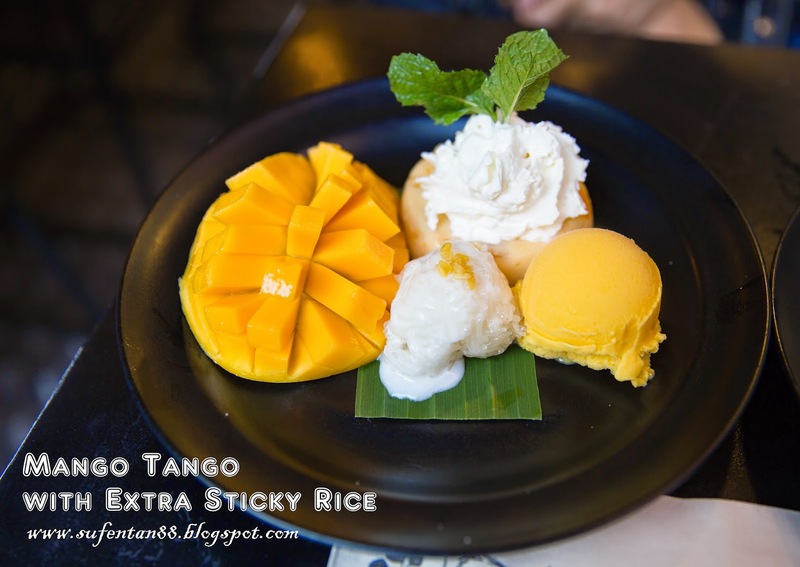 I would prefer if they can actually serve those traditional sticky rice with Mango, it would actually feel much more satisfy. Other than the dessert, we also try out their beverages. 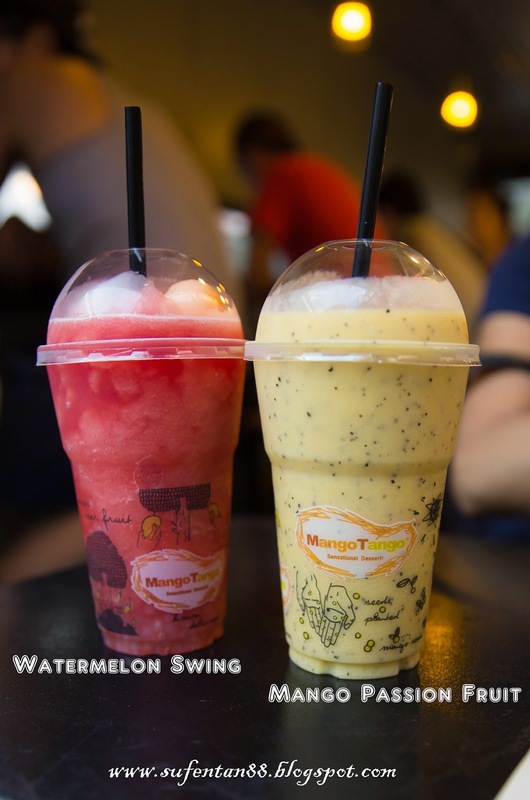 I like their Watermelon Swing, very refreshing and comes with lychee and other ingredients. While for Mango Passion fruit, it is thick and milky and taste a bit sour. Most of us can hardly accept the taste, it is too rich. I would recommend not to consume it before you taste the Mango Tango, it will eventually cover the taste. Both of it taste as good as the watermelon swing. 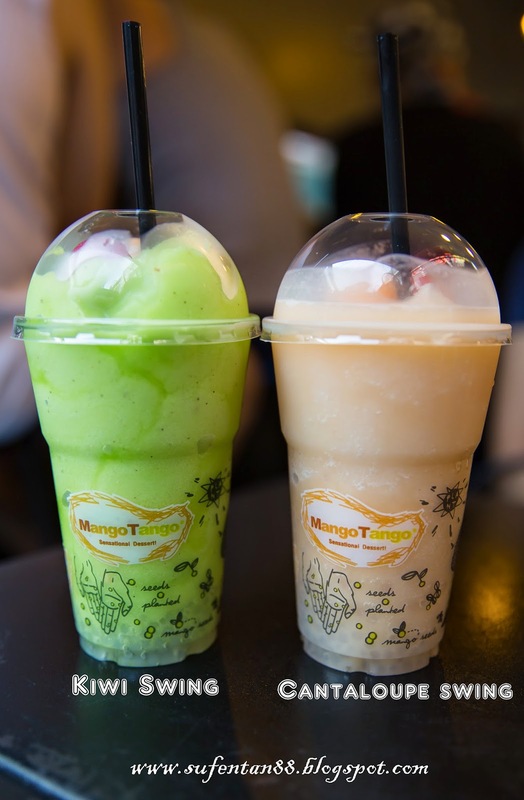 It is the best drink for a hot day in Bangkok. Their fruit swing comes in 6 varieties- Mango, Kiwi, Strawberry, Apple, Watermelon and Cantaloupe. It is no doubt as they claimed they were, their Mango is really good. One plate of their Mango Tango just isn't enough to satisfy our stomach. We could easily wallop two plate for each person. I will definitely come back again on my next visit to Bangkok. A mango a day, keeps the doctor away!